Good morning! I hope you’re having a great Monday. I’m taking a quick solo road trip to see my Papa, who is very sick. 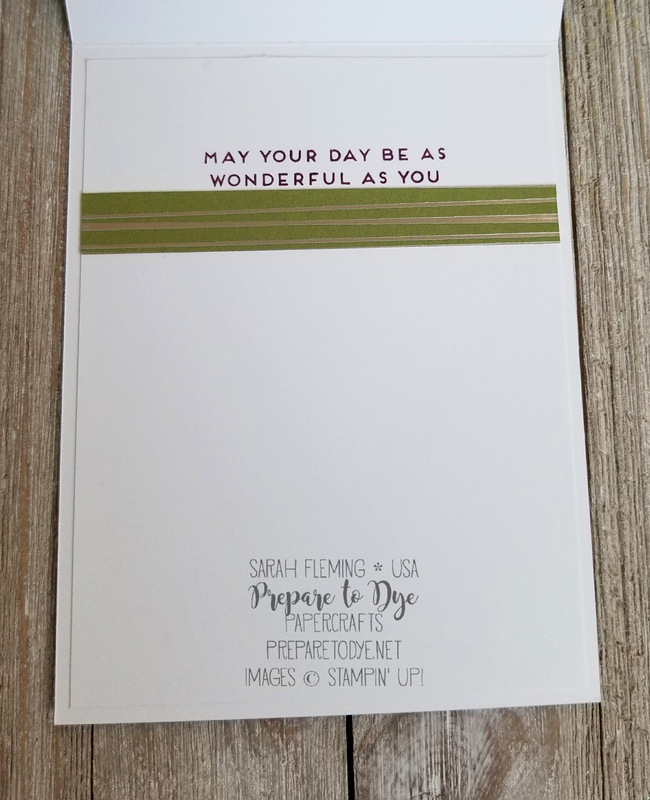 Today’s card uses the Cake Soiree bundle from the Occasions catalog. 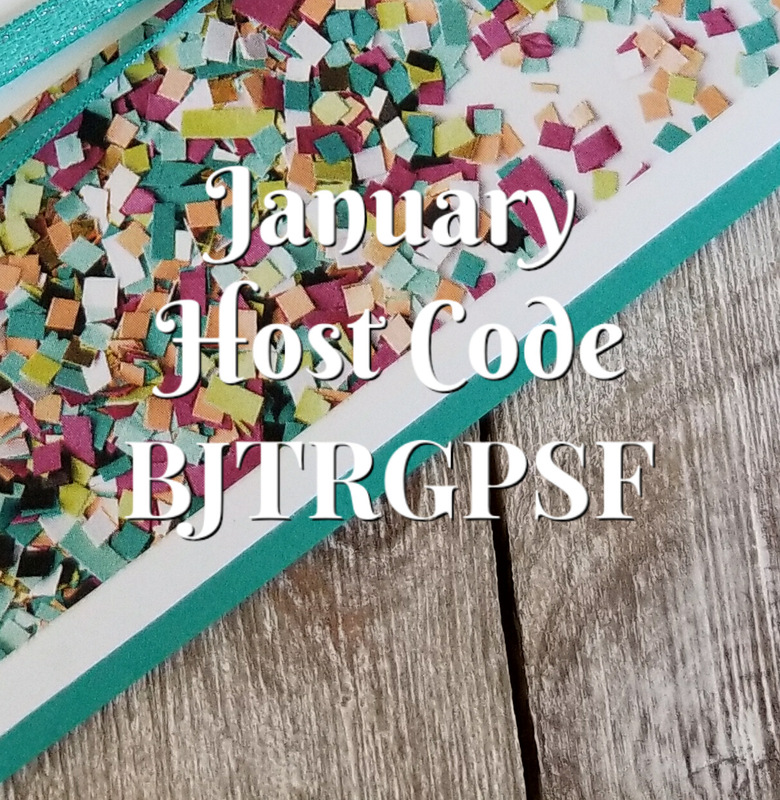 That beautiful tag is one of the dies in the Sweet Cake framelits. 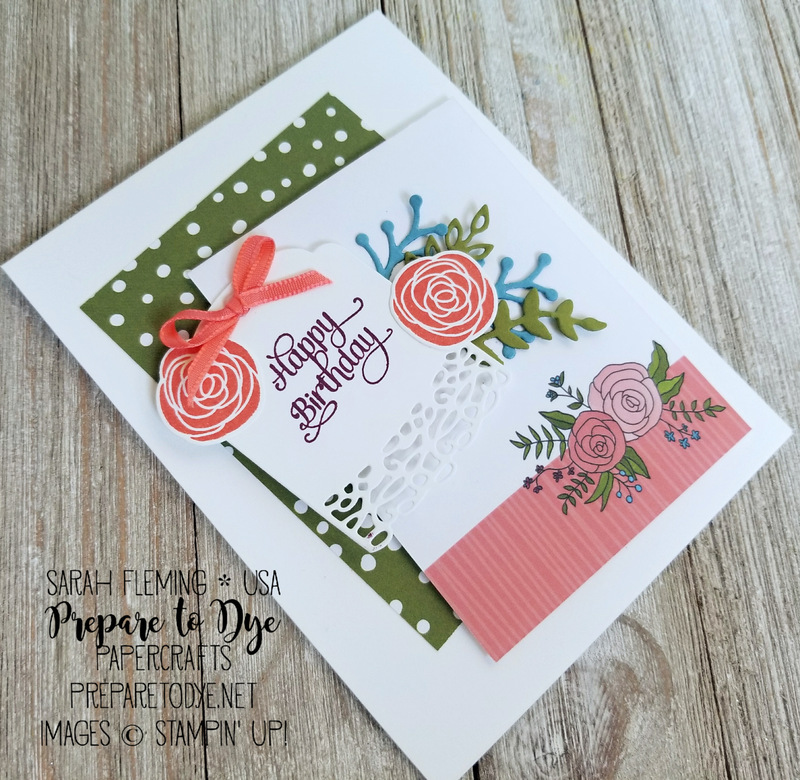 The flowers and leafy die cuts on either side of the tag are also from the bundle. 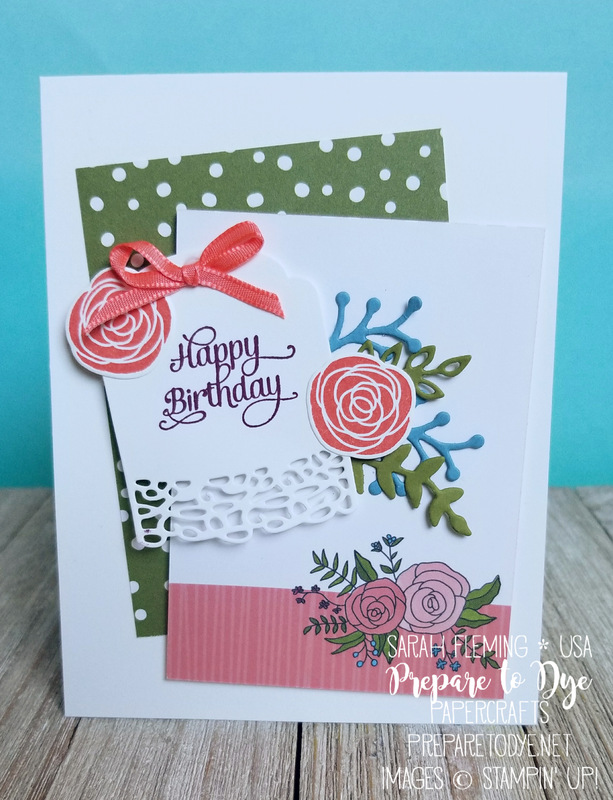 The lovely papers behind the tag are two cards from the Sweet Soiree Memories & More Card Pack. 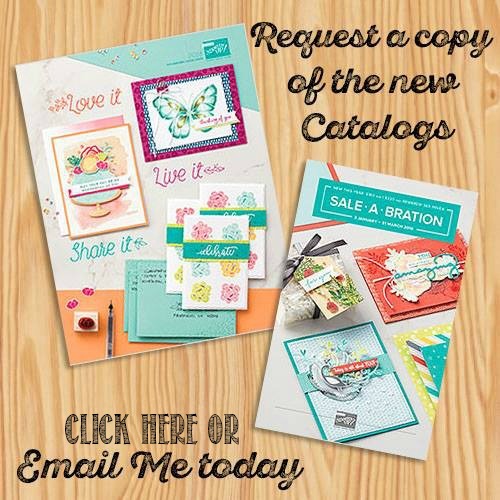 This card pack is FREE with a $50 order during Sale-A-Bration. It’s one of the pretties card packs we’ve ever had. On the inside I stamped another Cake Soiree sentiment and added a piece of Sweet Soiree paper.